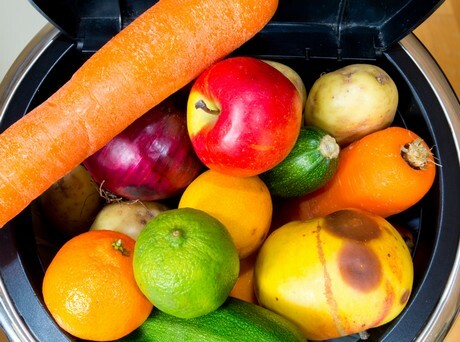 Fruits and vegetables account for 39 percent of all wasted food in the United States. They may be healthy, but they’re also the food most likely to wasted. At the other end of the spectrum, snacks and condiments account for only 3 percent of wasted food. Overall, a study by the National Resources Defense Council suggests that Americans throw out up to $218 billion worth of food each year. The study reported that "smaller households waste more food per capita; as household size increases, per capita total food waste generation decreases." Regardless of household size, "Seventy-six percent of our survey respondents indicated they believe they throw out less food than the average American." There are many shifting trends in food consumption. Last year, for the first time ever, Americans spent more money buying food in restaurants and bars than they did on groceries. A newer trend finds that 20 percent of Americans buy groceries online.